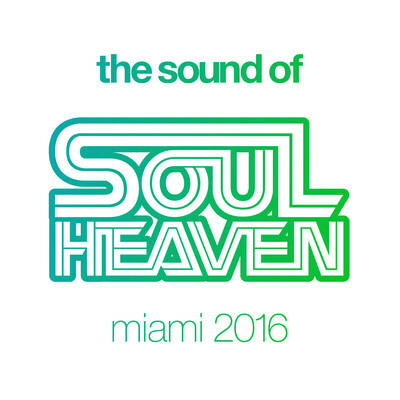 The ‘Sound of Soul Heaven Miami’ is back for 2016, putting together some of best new soulful and vocal house cuts from Tim Deluxe, Tommy Bones, Gershon Jackson and Fred Everything plus plenty of essential classic tracks from Dennis Ferrer, Karizma, Guti and Osunlade to bring back those nostalgic soulful moments. Founded by Oli White and Master At Work Louie Vega, for 15 years now Soul Heaven has been one of those labels responsible for keeping the soulful side of house music alive and kicking. Synonymous with the biggest names in the business; ‘Little’ Louie Vega, Kenny Dope, Masters At Work, Frankie Knuckles, Dennis Ferrer, Jocelyn Brown, Osunlade and more, the Soul Heaven crew have hosted parties in the US, South Africa, China, Thailand and Korea and throughout Europe, bringing soulful house to the world. Representing at the modern end of the spectrum on ‘The Sound of Soul Heaven Miami 2016’ are artists like Grey Area, the duo from the Netherlands mixing disco, funk, soul and jazz fusion in ‘Lose My Cool’ and ‘Afrodisiac’. Taken from the recent EP, Rhodes’s mix of Tim Deluxe’s ‘JAS’ and Tommy Bones’s ‘T’s Jazzy Joint’ (from the forthcoming ‘Arrival EP’) are both funky melodic tracks, emblematic of soulful house in 2016. Standout new vocal tracks include Fusion Groove Orchestra’s ‘If Only I Could’ featuring the soulful voice of Steve Lucas and the gorgeous ‘Kai KZR Alcé Late Night Mix’ of The DangerFeel Newbies ‘What Am I Here For?’ Meanwhile, the Eli Escobar remix of Gershon Jackson’s ‘Take It Easy’ which has been making waves on the dancefloor since the beginning of 2016, picks up the tempo with its infectious soul clap. There were certain timeless tracks that also made the cut. Osunlade’s ‘Envision’ for example, takes pride of place in its ‘Yoruba Soul Mix’ version. Other classic highlights include Dennis Ferrer’s ‘Underground Is My Home’ and the euphoric ‘Given Me Joy’ from Marc Evans - both tracks that epitomise the Miami sound. The compilation pieces together everything there is to love about soulful house in three mixes. It’s out 11 March on Soul Heaven.